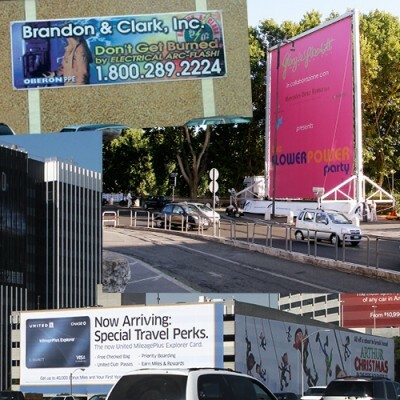 Premier Media Group offers a wide variety of wholesale banner substrates, from the basic event banner to a ice rink mesh banner used for in-ice advertising, and nearly everything in between. PMG has substrate partnerships with companies such as Arlon, UltraFlex Systems, Fisher Textiles, 3M™ and Neschen Americas, and we can print the right banner for each of your projects. FRONTLIT SCRIM BANNERS – These are commonly used for a simple event banner, billboard, trade show banner, truck side banner, church banner, school banner, birthday banner, and many more events! These banners can be finished with clean cut edge for banner hangers, hem & grommets, pole pockets, or a combination of all three. BLOCKOUT BANNERS – This type of banner can be printed on both sides with optimal opacity. 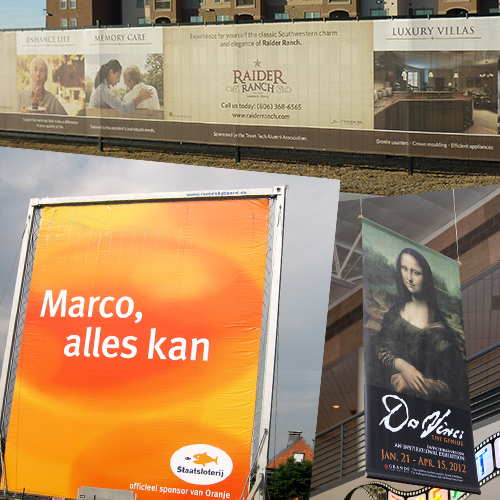 Blockout banners are commonly used for street banners, event banners, advertising banners, point-of-purchase displays, and boulevard banners along street sidewalks. Blockout banners can be finished out using the same methods as the Scrim Frontlit banner above. MESH BANNERS – This type of banner has brought a new level of versatility to traditional advertising. Due to its lightweight nature, the mesh banner is being utilized for large images on buildings, stadium and fence wraps, outdoor murals, street banners, protective barriers for scaffolding, speaker covers and ice rink advertising on printed banners within the ice. SPECIALTY BANNERS – These also bring a unique element to the advertising arena. A semi-rigid banner substrate such as an opaque styrene is commonly used for bus and transit shelter signs, tradeshow and event graphics, and convenience store advertising. 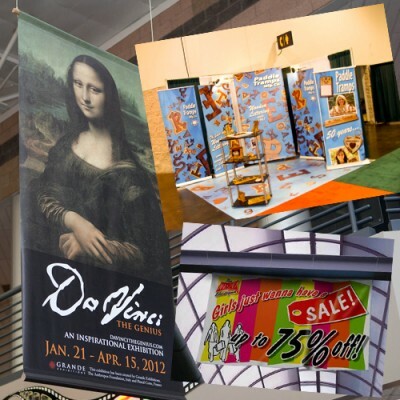 Anti-Curl banners are used for hanging interior banners or banner stands where a non-curling banner is needed. Textile substrates (utilizing our special wrinkle-resistant polyester fabric) work superbly with our popup banner stands, photographic backdrops, step and repeat banners, and event table cloths. No matter what your company’s banner needs are, Premier Media Group has the unique and cost-effective banner solution.